What is the 1 Invest Plan? 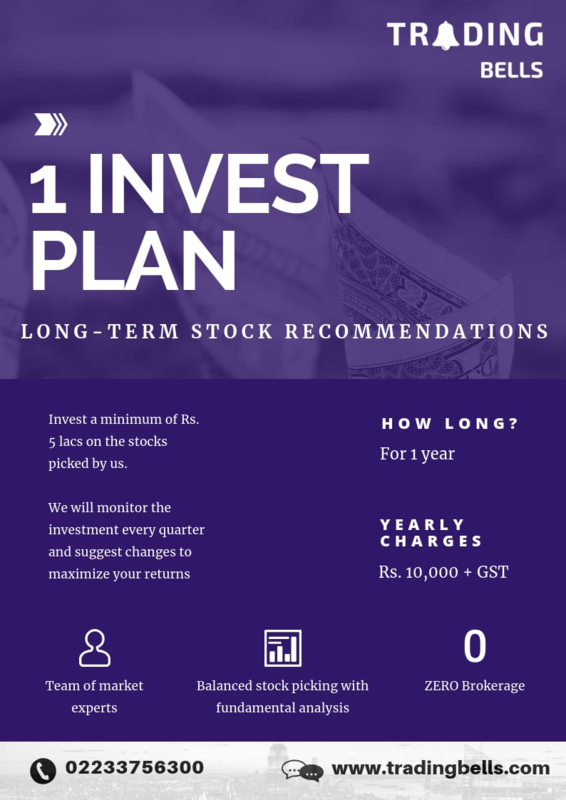 1 invest Plan is for those patient investors who are looking for personalised expert advice on which stocks to invest in. It has been proven time and again that the stock markets rewards the long term investor more than the intraday traders. However not all of us have the time or skill to pick the right stocks and keep balancing them at regular intervals. Which is why we&apos;ve introduced the 1 Invest Plan where we suggest you a portfolio of stocks to invest in, monitor the portfolio every quarter and suggest changes to maximise returns. Our team of qualified market experts with a collective experience of more than 25 years will pick the stocks for you. Personalised stock picking based on your risk profile. We will assess your risk profile based from a set of questions before suggesting the ideal portfolio for you. Flexibility in terms of Amount and Timing: Although we recommend an investment size of Rs. 5 lacs, you may choose to invest a different amount. Zero Brokerage: Delivery based investment is not charged any Brokerage for our Discount Customers.